So lets jump right into Spain wine with the top Spanish wine regions, grapes, vintages. You can also see top Spanish wine ratings from wine critic Robert Parker including 100 point rated wines. While we believe that Spanish wine ratings can be helpful but also in the value of the personal experience of trying new wines ideally in their country of origin. We also believe wine is the most enthralling drink in the world, one with a unique history that predates most everything produced by humans in Spain and on our planet. “A quien el vino no le va, Dios le quita el pan.” => He who doesn’t like wine, God takes their bread away. Spanish Wine History: So let´s jump into learning about Spanish wines. Spain’s large size (just a tad smaller than France), varied geography and location in the northeast of the Mediterranean and buffeted by the Atlantic has been a key to understand the evolution of Spanish wines. Archeological evidence suggest that wine was being produced between 3000 to 4000 BC in Spain. The expansion of wine making was influenced by Greek and Phoenician traders. Five centuries as a Roman Empire province led to an increase in wine production in Spain and Portugal (Hispania). Wine was exported to Roman-controlled France, England and even Italy. Moorish Spain, which was the sometime progressive northeast corner of Islam, did not eliminate wine production and in fact some sultans enjoyed wine and poetry soirees. As the Christian armies retook medieval Spain from the Moors, wine production was increased. Of course the Catholic Church used the wine for masses. Another factor in medieval Europe was that locals fearing contamination, often preferred wine to water from unknown sources. Monks in many areas of Spain as in France and Italy where known for producing some of the best wines and enjoying it greatly. Spanish Wine News Today: in 2014, Spain has the greatest area of vineyards in the world, nearing 3 million acres of vineyards -some 1.2 million hectares which compares to France’s 900,000 hectares. New data shows Spain now nearly tied with Italy as the world’s #2 wine producer after France. Exports of Spanish wine account were up in 2010 and 2011. About one third of Spain’s wine is exported with main markets being the USA, UK, and Germany. Russia and China are growing markets for the Spanish wine sector. Here we will profile the leading Spanish wine regions often termed Denominación de Origen (DO) in Spanish of which make for fantastic wine travel destinations and one that is now producing some of the world’s best wine for the money, including great reds, and some emerging and famous regions for whites and rosados in Navarra. For live action, try our private Spain luxury wine adventures, made-to-fit. ¡Salud! Spanish wine region, Rueda: Those who enjoy white wines this region is one of the best of southern Europe. What has attracted increasing international attention are the crispy, delicate and fruity whites whites. Some find DO Rueda Verdejos to be somewhat similar to a Sauvignon Blanc. Many of the best are cold fermented and made from the herbaceous, nutty Verdejo grape. This contrast greatly with Rueda wines in the past that targeted the Spanish former taste for fortified wines like those of Porto or Jerez. Rueda sits at a high altitude o between the powerhouse Ribera del Duero and the emerging Toro wine regions in central north west Spain. The average altitude of around 700 meters provides the much needed temperature drops during the hot Castillan summers. This leads to the the crispness, aromas and delicate flavors. Some of the Rueda wineries that we have enjoyed are Alvarez y Diez, Vinos Blancos de Castilla, Aura, Dos Victorias, Sanz Cerrosol. This writer recently had the good fortune of enjoying a superior Rueda, Verdejo blended with Sauvignon Blanc and Viura, the Bassa that was aromatic, zippy and loaded with fruity taste sensations made by Telmo Rodriguez. Contact us for private Spain wine tours made-to-fit your groups upscale style. Robert Parker lists this emerging wine region with the potential to become Spanish wine star. The emerging Toro sits west of the more famous Ribera del Duero and east of Portugal’s Duero Valley wine region and Porto and is known for voluptuous concentrated reds that are now becoming more refined and elegant. The DO Toro covers some 3000 hectares (about 7500 acres) and has certainly improved the quality of its once overly-robust red wines. While again an historic wine region, it was little known outside of Spain until the last decade due to much investment and innovation. The reds are primarily from a Tempranillo derivative called Tinto del Toro in this region. Some garnacha is also used for blending. Typically these Toro reds are robust and rich, thick with tannins and fruit + a fairly high alcohol level. Toro wines in the past perhaps had not evolve much since the middle ages and were considered to unrefined and overly-strong. Our Spain wine tour customers have given high marks to the Gran Colegiata Campus Barrica from the Farina winery, La Garona Crianza from Estancia Piedra and 2 wines made by one of Spain’s leading winemakers, Pago La Jara and Gago Barrica by Telmo Rodriguez. Contact us for private Spain wine tours to Toro and other Spanish wine regions, specially blended to fit your groups upscale style. Spanish wine region, Bierzo: This is a rapidly emerging star Spanish wine region with Mencia based reds. Sitting in the interior of northwest Spain, Bierzo enjoys a favorable micro-climate and is a green hilly area. Like much of Spain the wine heritage might go back to the Romans or at least the Visigoth’s but lack of innovation had hindered quality until the last decade. The Mencia based reds are showing impressive promise producing smooth fruity wines with a nice bitter hint. Mencia is thought to be related to Cabernet Franc. The Bierzo’s climate, some 55 vineyards (some old vine) and geography give this region much potential with Atlantic and Continental influences. Among the Bierzo wineries that we have enjoyed are Pittacum, Castro Ventosa, Paixar, Dominio de Tares, Burgia, Estefania, Abad 2000 and Luzdivina Amigo. For a price quality Bierzo wine the last winery has been one of the best that we have tried is the Vinademoya from Luzdivina amigo and the most wines from Dominio de Tares. Without doubt one of the emerging Spanish wine regions that is attracting international attention in the DO Bierzo. Contact us for private Bierzo Spanish wine tours made to fit your groups luxury style. 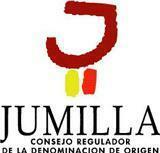 Do you dig big red wines?…if so read on about DO Jumilla. It is a major emerging wine region of Spain producing rich aromatic reds, often Monastrell, same as France’s Mourvèdre, many single varietals. There are now some Jumilla blends with Cabernet Sauvignon, Syrah and/or Merlot. Along with the reds some Monastrell rosados are gaining fame as powerful dessert wines -(in the style of Banyuls). This region is in south east Spain the Levante province. Jumillas tend to be very affordable for now. Like the nearby regions of Bullas & Yecla, the dominant grape is Monastrell but the Monastrell produced in Jumilla is now often considered the best. This region benefits gentle inland climate somewhat arid with some help from the nearby Mediterranean sea. The high elevated plateaus give its grapes vital nighttime relief from the heat. The Jumilla soil has high levels of lime retaining some much-needed moisture. Among the most outstanding of Spanish Wine Regions, the Ribera Del Duero is home to famous and big ticket world class wines like Vega Sicilia Unico and Peter Siseks’ Pingus. Red wine are king in the D.O. Ribera del Duero and are made in large part from Tinto Fino, a variant of Tempranillo. To confuse matters the Tinto Fino is sometimes called Tinta del Pais. Cabernet Sauvignon, Garnacha and Merlot are sometimes blended in small quantities with the Tinto Fino It is sometimes blended with a bit of Garnacha. Among the other top wineries are Pago de Carraovejas, Enrique Moro, Hermanos Perez Pasquez, Bodegas Mauro, Carmelo Rodero and Abadia del Tuerta. The Ribera del Duero sits alongside the Duero river which flows west into Portugal’s Douro Valley wine regions. The Duero then finally enters the Atlantic ocean at Porto. The climate of the Ribera del Duero is continental with some Mediterranean influence. There are some 180 wineries in the Ribera del Duero in a bit less than 9000 hectares. Contact us for private Ribera del Duero Spain wine tours made to fit your groups upscale style. Historic Wine Travel Trivia Note: There is an unconfirmed legend that the name of London’s Elephant & Castle district is a derivation of ‘Infanta de Castilla’, the title of Isabella before she became the Spanish Catholic queen.In fact Isabella is thought by some to have stayed there during a London visit in the 15th century possibly with Spanish wine. In north-east Spain’s Aragon region, the cool-climate DO Somantano sits in the Pyrenean foothills and offers some very attractive wines with an international flair. This region sits between Barcelona, San Sebastian and France. The French influence of this region is noted both in wine production techniques and grapes used. Somantano which means loosely ” South of the Mountain” is known for producing some of Spain’s best Cabernet Sauvignons and top Chardonnays . Tempranillo, Moristel and Merlot are also used here. There are also some good wines made from Macabeo and Garnacha. With nearly 20 bodegas, Somantano is more into quality than quantity and produces good reds and whites with some international flair. 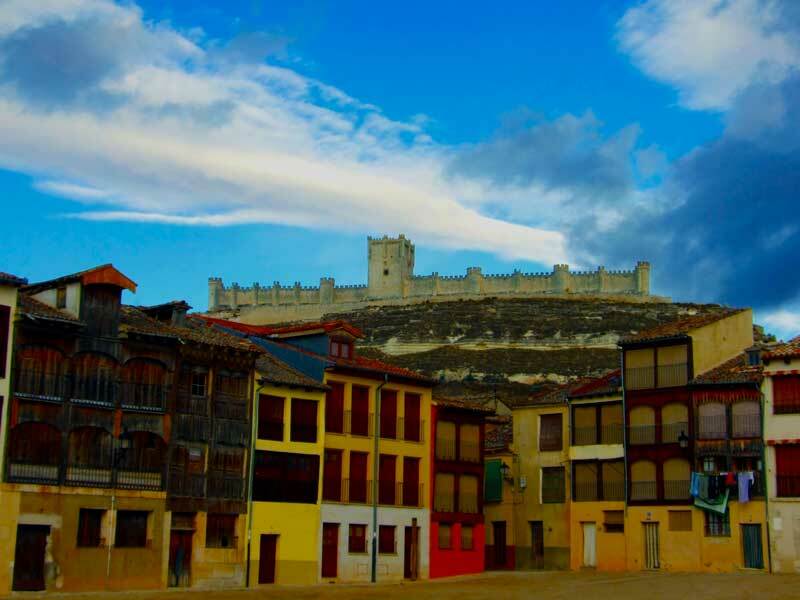 Our Spanish tour customers have especially liked the Somantano wines from these wineries: Enate, Vinas del Vero and Blecua.The nearest major town is Huesca and this area is actually known for its Pyrenees Mountains ski resorts so one might even combine wine estate visits with skiing. This writer had a wonderful post skiing meal last year with friends and a complex, spicy bottle of Secastilla Garnacha from Vinas de Vero. Contact us for private Somontano Spain wine tour made to fit your groups upscale style. Traditionally Spain’s most prominent wine region, the Rioja is in north central Spain and became the first internationally known Spanish red wine region. Good Spanish Riojas are elegant, silky, refined yet somewhat fruity red wine. Of course not all Riojas make the cut. 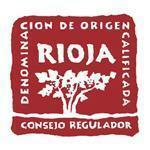 Riojas can be delicious but not as intense as the bigger reds of the Ribera del Duero or Toro. We find that Rioja reds often go well with grilled fish, chicken and pork. Rioja whites are generally not in the same class with some notable exceptions in the last decade. If you enjoy wines from Burgundy, Chianti, or Cotes de Rhone then you might enjoy the classic smooth Spanish reds from the Rioja. There are over 600 wineries here in a densely planted region of 65,000 hectares and some of the ones we visit on our private Spain Rioja wine tours are world class. The main grape is Tempranillo which is thought to be related to Pinot Noir. Other Rioja grapes are Garnacha, Mazuelo and Graciano. These are often blended with the Tempranillo, with the Tempranillo and Garnacha blend being the most common.The Rioja is spit into three sub regions: Rioja Baja, Rioja Alta and Rioja Alavesa and the last two have the better wine in general. The climate is influenced by the Atlantic and enjoys cool nights even in the heat of summer. The international success of other Spanish regions such has the Ribera del Duero and Priorat with their high quality red wines has caused some consternation in the Rioja and spurred some innovation. Notable are the attempts to combine the Rioja’s classic style with a more fruit-heavy taste sensation. The landscape itself includes memorable medieval villages, mountains, rolling hills and fine restaurants. The Rioja also is known for some of the most amazing new wineries built under the direction of celebrity architects over the last decade. The wine museum in Briones is considered by some international wine travel tour groups of ours to be the best in world. Contact us for luxury Rioja wine tours made to fit your groups style. Once mostly known for the Fiesta of San Fermines (Running of the Bulls) in Pamplona and Hemingway`s book, For Whom the Bell Tolls, Navarra has seen rapid evolution to a more modern refined yet powerful style of wine making and interesting meaty flavorful reds and zippy whites. Of course the Rosès are still world class. The Navarra wine region is the French border in the foothills of the Pyrenees and the Rioja while the Ebro River runs up from the south into Rioja to the west. Pamplona, Navarra’s capital, is north of the wine region. With its special location between two of the world’s most famous wine regions, Rioja and Bordeaux, Navarra has learned from both of these regions without losing its own wine style. There are both continental and Atlantic climate influences here and about 106 wineries. Navarra is known for classic grapes of Northern Spain—tempranillo and garnacha (grenach) both having their native roots in Spain. Along with the two Spanish grapes, Navarra uses a number of major French varietals— Cabernet Sauvignon, Merlot, Chardonnay and Sauvignon Blanc—however, indigenous varietals dominate – with 70% of all plantings. Over 90% of the wine produced in Navarra is red and rosé. White wines make up the other 5%. Top Navarra wineries include: Chivite, Gulbenzu and Ochoa. 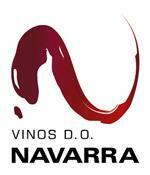 Contact us for private Navarra Spanish wine tours made to fit your groups luxury style. For history-minded wine lovers Sherry and her back story and bodegas south of Seville are a magnet without doubt unique in the world. Although it has fallen off the radar in recent decades Sherry wine is one of the most famous wines historically from southern Europe. The good sherries are complex wines with many subtle nuances. The solera production process that is explained in the centuries old bodegas of Jerez may go back to the 16th century. Of course sherry is very much an acquired taste, which has been part of the problem after being so popular over a century ago. There is so much variety that Sherry can seem daunting but in Spain 80% of the consumption is a very dry crisp finos and manzanilla. Much of the richer olorosos and amontillados + the sweeter cream sherries are exported to the UK, Holland and Germany. Spanish sherry´s can be connected to a historic wine family of sea-faring regions. These “cousins” include Port wines in historic city of Porto, Marsala wines in Sicily or Madeira wines on her Atlantic island. Expect a complex strong wine that’s is quite unique as it can be taken as an apéritif or as a disgéstif and some even dine with it in southern Spain, especially during the fiestas. Sherry wines country is about an hour from beautiful Seville in southwest Spanish corner in the coastal Cadiz region. The ” Sherry Triangle” includes Jerez de la Frontera, Puerto de Santamaria. Surprisingly, the majority of Sherry in Spain is not sweet but rather is a dry white wine often called fino or manzanilla. Spain’s sherry wines are “vinos generosos”, wine family that includes the above mentioned wines of Northern Portugal. Now being used by some cocktail bars as well as by many consumers excited about its depth and richness of flavor. Types of Sherry include the very dry fino, while amontillado or oloroso can both be dry, medium or sweet., Sherry is a rich fortified wine that has the versatility to go from aperitif to the table to post dinner sipper. One of the romantic parts about the wines of Jerez are the unique sense of place many feel when visiting the bare floored bodegas next to fields of fine Spanish stallions. Contact us for private Sherry / Jerez Spanish wine tours made to fit your groups luxury style. Spanish Wine Region, Penedes: The main wine region of NE Spain´s Catalonia, Penedes is known for innovation and produces very good sparkling Cava. The Penedes also produces some crisp elegant whites and good but not great oaked reds. The area is framed by the coastal hills of the Sierra del Garraf and the higher inland mountains. The climate is very influenced by the nearby Mediterranean. Some Top Penedes wineries are Miguel Torres, Jean Leon, Juve & Camps, Parés Baltà, Rovellats, Albet I Noya, Agusti Torellò, Antonio Mascaro, Can Rafols del Caus. As the Penedes is about an hour from Barcelona, this wine region is perhaps the most heavily visited by wine bus tours. Contact us for private Spanish wine tours made to fit your groups luxury style. Spanish Wine Region, Priorat. The most expensive wines of Spain come from a isolated region is quite undeveloped and natural with small winding roads are not for the faint at heart. Priorat is now producing the most expensive wines of Spain in this gorgeous mountainous region with that scared off many winemakers not many decades ago. The altitudes of the vineyards varies greatly from 200 to 725 meters. Those brave pioneers who returned to this harsh ancient region have been rewarded for their efforts and with the unique licorella soil are now producing huge world class reds. Among the top vintners are Carles Pastrana and Alvaro Palacios. In the Priorat we find indigenous Spanish varieties like Cariñena and Garnacha, + French grapes including Merlot, Cabernet Sauvignon and Syrah. The difficult conditions leads to small production and very concentrated flavors that are earning top dollar for higher end wine lovers and collectors of Spanish wine. Contact us for private Priorat Spanish wine tours made to fit your groups luxury style. If you enjoy crisp and aromatic whites then the DO Rias Baixas in Northwest Spain is one to experience. This wine can work with rich pates, Thai and Chinese, pork, fried foods, and sea food (the most common pairing in Spain). Contrasting starkly with the image many have of Spain: Moorish castles, bullfighting, lacy flamenco and a dry hot climate, Galicia is green, rainy region with Celtic roots. This legacy today is evident in the traditional regional instrument: the bagpipe. The Rias Baixas is a smallish quality-oriented DO making whites from Albariño grapes. Technically the challenge is the rain & humidity.Some of our American wine travel customers have commented that Albariño is similar to dry Riesling, while others have mentioned some connections with a crisp Viognier, Gewurtztraminer or Alsacian wines. Others did not notice a similarity but love it Due to international fame and awards the Rias Baixas wines can be among the more pricey Spanish whites but are usually worth it. Especially with good fresh seafood! Contact us to schedule your private Spain food and wine adventure. Why not take a private luxury Spain food & w/ine adventure with us. Below see more on highly ranked Spanish wine vintages and wineries. No doubt, this can be confusing as the the different regions vary the definitions somewhat but here is a general guidelines from the Rioja and these terms are most common for reds. Gran Reserva Spanish wines: are only made from better harvest years are aged over 5 years with at least 2 years in oak, and at least 3 years in the bottle. Cataluña in north-east Spain is a historic Mediterranean region with 12 registered wine regions (Denominaciones de Origenes DOs). French and Indigenous grape varieties are the most common. This small region has a wide variety of climates, grapes, and geography. Best known for the sparkling cavas and white wines but in the last 8 years a number of very good reds have emerged. Over 80% of the Cava (Spanish bubbly) is produced in Cataluña. Among the DOs along with the star DO Priorat and DO Monsant are DO Penedés, DO Ampurdán-Costa Brava, DO Concá de Barbera, DO Costers de Segre, DO Plá de Bagés, DO Tarragona, DO Terra Alta, DO Alella. Like most of Europe and unlike the USA, wine consumption in Spain is down as young people choose better marketed beer and liquor. Currently Spaniards drink an average of some 10 gallons of vino per year (some 38 liters) which is 10th in the world rankings. 40 years ago ago this figure was more than double this. Living in Spain, a country with 4000+ years of wine heritage there are ample opportunities to savor vino tinto, rosado and blanco. Truth be told Spain, the world’s largest area of vineyards was long known for quantity but infrequent quality. Well this has certainly changed greatly over the last 15 years as growers and vintners have adopted many innovative quality oriented advances. Ironically, while Spain is one of the oldest wine-producing regions in the world, its star has only started to rise in the 21st century. So much wine is made in Spain that there are many wines from Spain that are not even shipped out of the country. Most of the top Spanish wines are available around the world, but there are some amazing small batch wines that can only be found within the country, usually they are from small wineries in lesser-known wine regions. To find these gems one has to kiss a lot of frogs or have someone reveal their wine secrets. This is another great reason for wine lovers to experience Spain in person on a Spanish wine adventure tour. Harvest-wise the last 20 or so years has seen some amazing vintages especially like 1994, 1995, 2001,2004, 2005, 2010 were all rated excellent years in most of northern Spain. Reserva Wines from these vintages can normally last for at least 12 to 15 years when cellared properly.